I am checking in quickly to share some new things happening here at Wool n’ Spinning. Over the past few months, the community has grown beyond my expectations and I have been increasingly inspired by your participation. The amount of spinning has been truly amazing, as well as the support and help everyone has offered to one another. It’s amazing what people can do when they come together and help one another! This has truly been a bright place to visit during my days as the kids and I enjoy lazy summer days together. I am pleased to introduce my friend, Katrina, who will be writing with me over the coming months on topics we are thinking about and sharing photos. This will also include special months that feature early access to book chapters (!! ), photo layouts … or maybe the cover itself?! Not necessarily teaching content, these will be 1000-1600 word essays about a particular topic or series on a central idea. Workshops are an opportunity to learn and work alongside each other in an intentional way. I’ve talked about my intentional practice previously and this is a chance to do that together! A PDF download will be delivered to you each month and a bit of homework, which we will work through together. The Slack channel will offer a private place to do that together, as well as a Ravelry thread for workshop participants. A series of 1 – 3 months, this tier will open sporadically to encourage entry at opportune times! I am really excited to offer a ComboSpin of all of the above. This tier is an opportunity to take advantage of everything here at Wool n’ Spinning! Not sure which you want? Try them all for a month or two, or longer if you like them all! 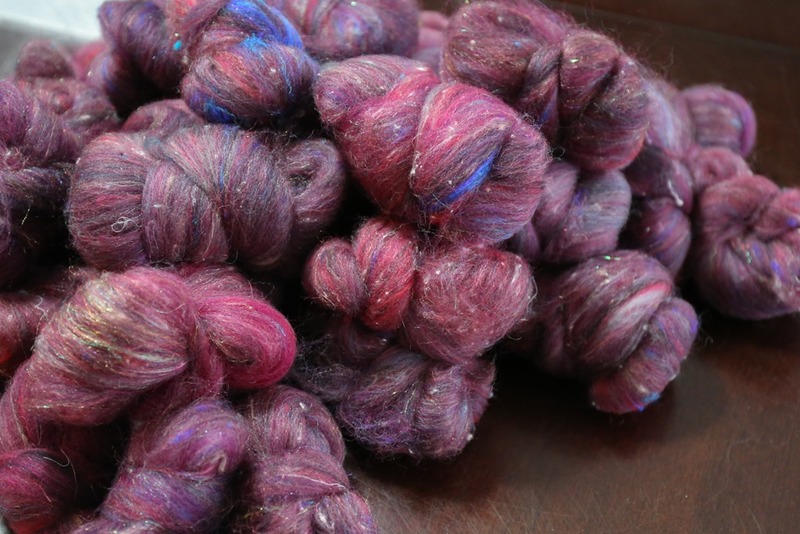 A bundle of fibre, the PDF download for both Workshops and the monthly Essay, and Slack channel access will give you the whole gamut of the Wool n’ Spinning experience! I hope in this wide range of offerings that you will find something that works for you. The first workshops series will be on Sampling for larger knitted projects. I hope you will join us! Lastly, I want to make a formal announcement that I am officially a SpinOlution dealer. For more information, head here to have a look!